24K - From Hit-town to Motown! 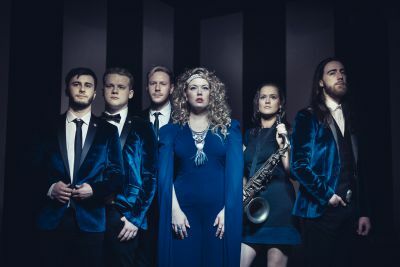 24K Wedding and Party Band - Boasting the incredible soul-tinged vocals of recording artist Gavin Beach, this popular quartet sets itself apart in its stylistic versatility. Let them take you on a 24-karat magic journey through the decades as they deliver the biggest hits from the golden era right up to today’s contemporary chart. The band primarily perform as a 4-piece, but if you're looking for that fuller outfit, the core members can be supplemented with a super-cool Brass Section. 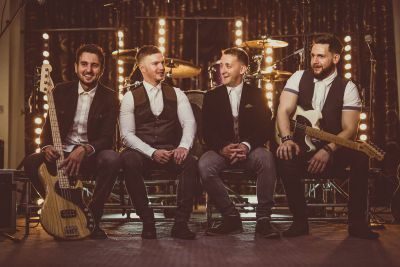 Made up of full-time professional musicians, 24K are the 'real deal' and that's exactly why they stand out from other South Wales Wedding Bands. "I believe in the Golden Rule - The Man with the Gold... Rules." Mr T.
If you'd like to discuss anything further, please don't hesitate to get in touch with our amazing team over at Music HQ with any enquiries. 24K are managed exclusively by Music HQ - Wedding Bands South Wales. South Wales' Largest Live Wedding Music Service. 24K Wedding and Party Band are managed exclusively by Music HQ. Copyright © 2017 Music HQ Llp.